We will soon be announcing the outcome of our grant award process and giving details of the projects we will be supporting in 2019. Our grants programme, which is funded through the generous donations of Lewy Body Society supporters, helps to fund ground-breaking new research into Lewy body dementia. By working with some of the world’s top experts and researchers, we hope to improve the diagnosis and treatment of the disease in future. As we look forward to the new projects starting, we also wanted to look back at the very first funding award we made, and let you know how Lewy Body Society grants have already made a difference to patients. Dr Marzena Kurzawa-Akanbi received the first ever Lewy Body Society grant back in 2007 as she completed her PhD. She is now a Senior Research Associate at the Institute of Genetic Medicine at Newcastle University and was also awarded a grant by the Michael J. Fox Foundation for Parkinson’s Research. 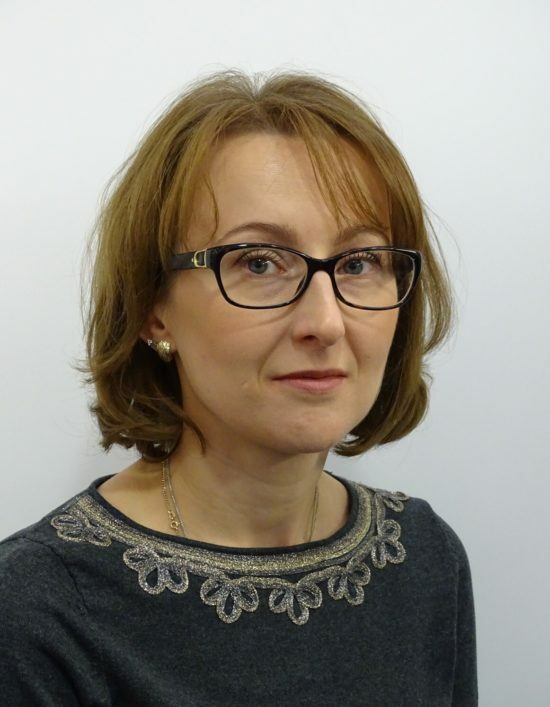 We spoke to Marzena about her work, why she chose to dedicate her career to research, and the difference a Lewy Body Society grant made. You can read the interview below. Good morning Marzena. Can you tell us about your research, and how it makes a difference to people with Lewy body dementia? My research aims at improving our understanding of the biological processes underlying dementia with Lewy bodies (DLB). In particular I am interested in the role of the most common genetic risk factor for DLB which is called Glucocerebrosidase (GBA for short). GBA is a very important enzyme involved in digesting complex fats in cells. Having genetic changes, called mutations, in GBA puts people at risk of having DLB and also Parkinson’s disease (PD). What we don’t know is exactly why this happens. My recent work has shown that people with DLB have changes in a specific type of fat, called sphingolipids, in their brains. These changes were seen in DLB regardless of whether they had GBA mutations or not. Because of this finding, I think that DLB may be linked to problems in handling fats in nerve cells. Having a problem with GBA accelerates this process and makes people become unwell more quickly. My earlier work has shown that DLB patients with GBA mutations also have defects within parts of the nerve cell called lysosomes and endoplasmic reticulum. These defects are greater than those in patients without GBA mutations. These findings support my current work since these parts of the nerve cell are involved in handling fats. During my recent project I also purified tiny particles called exosomes from patients’ cerebrospinal fluid (CSF), which is the fluid that bathes the brain. I found that these vesicles in DLB are full of the same sphingolipids we found in the brain, and were different compared to exosomes from healthy people. Importantly, these vesicles are enriched in alpha-synuclein, the protein that is linked to DLB and PD and forms Lewy Bodies. I developed a method that uses exosomes to detect DLB changes in CSF and now we are working on confirming the accuracy of this test. This work is currently being prepared for publication and I hope the findings could be used in the future to diagnose patients with DLB and identify the disease early, before the symptoms develop. I believe this would make a very big difference to patients and their families. What first sparked your interest in researching Lewy body dementia? I have always loved to study and becoming a PhD was my eventual aim. I did my first degree and Master’s degree in a lab working on mitochondrial diseases. I was also responsible for molecular diagnostic testing of patients suspected to have mitochondrial disease. I have therefore been very close to research on human health from the very start, with my work focusing on diagnostics and disease mechanisms. I became interested in Lewy body dementia as it is a very common disease but still not well understood. I believed my hard work could contribute to understanding the disease better and helping the patients, and it was great for my thirst for knowledge. What progress has been made in the last decade in understanding Lewy body dementia? I think one of the more important developments is the raising awareness of Lewy body dementia among clinicians and patients. The Lewy Body Society is making an immense contribution in this area. The diagnostic criteria have also been refined during the last decade and the understanding of the Lewy body disease spectrum – dementia with Lewy bodies, Parkinson’s disease and Parkinson’s disease dementia – has also been improved. Research into dementia with Lewy bodies has increased over the last decade. Certainly the recognition of GBA as the most prevalent risk factor has been very important and already shed new light on to potential disease mechanisms. Also we now have more information on how alpha-synuclein protein clumps together and how it may spread between nerve cells. This information will now hopefully lead towards therapies to stop this process and methods to detect alpha-synuclein during the earliest stages of disease development. What difference did the grant from the Lewy Body Society make to your career? The grant from the Lewy Body Society supported my PhD project at Newcastle University, which formed the foundation of my research on DLB and a career as a scientist. The LBS made me feel truly part of the LBS family and I feel very honoured to be the first PhD student supported by the LBS! Throughout my PhD I was surrounded and nurtured by the expert clinicians, including Prof. Ian McKeith and Prof. David Burn, and knowledgeable scientists. I will forever be grateful to Dr Chris Morris, who was my PhD supervisor and is my mentor now. The grant from LBS allowed me to join the community of DLB researchers and being part of the network is essential to work to make a difference for patients.